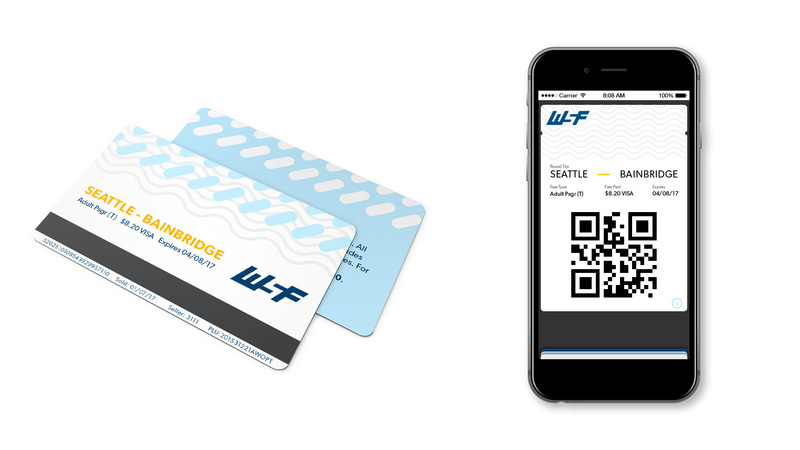 Part of the Washington State Department of Transportation, Washington State Ferries (WSF) is a government run agency that operates the largest ferry system in the U.S. for foot passengers, automobiles and cyclists. Servicing over 20 terminals in the Puget Sound, WSF is an institution known for its reliability and practicality in serving both daily commuters and tourists visiting the Pacific Northwest. Washington State Ferries is a leader in public transportation in the Puget Sound but lacks a strong and consistent visual tone to communicate this to its riders. 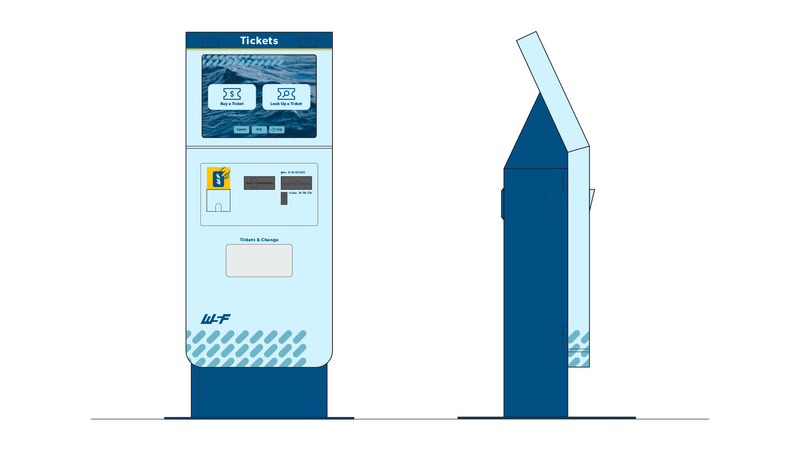 Part of quickly growing area, and with new competitors challenging the service options, WSF need to solidify its brand message to maximize its interaction with commuters. 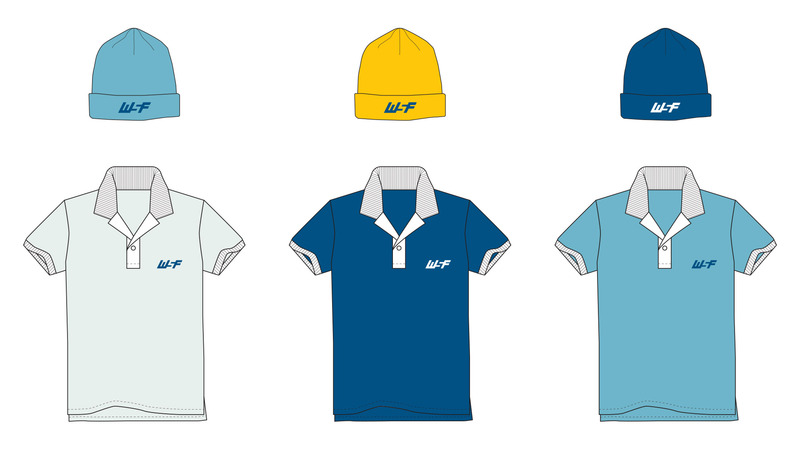 Unify and establish consistent branding guidelines across a wide variety of media that makes WSF feel contemporary without straying from its practical and governmental functionality. 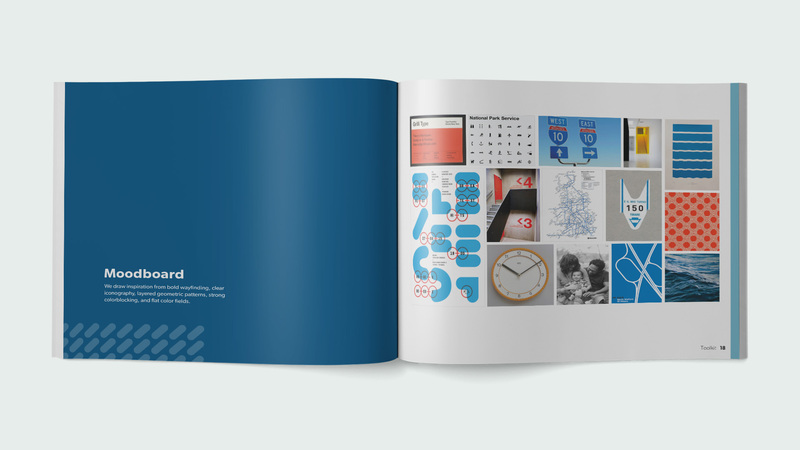 Our rebrand highlights WSF’s reliable, connected, and iconic character without straying from its sense of governmental functionality. 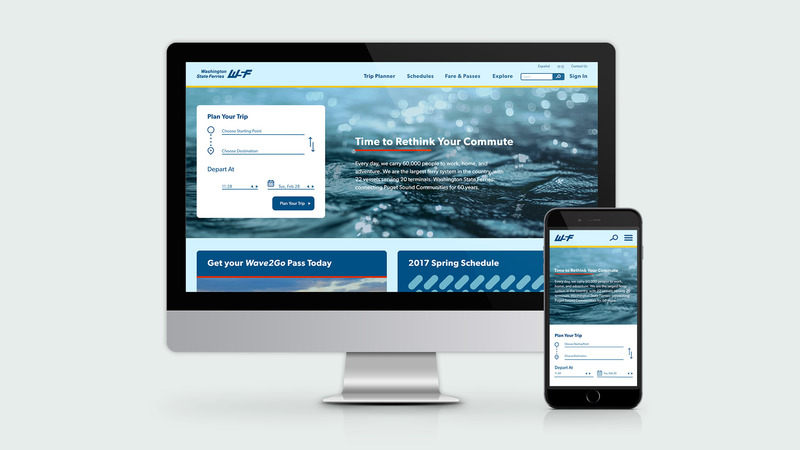 By utilizing an adaptable pattern and asset library, WSF can utilize various brand implimentations across its varied customer touchpoints. As part of the Washington State Department of Transportation, Washington State Ferries (WSF) is a government run agency that maintains the largest fleet of ferries in the United States at 22 vessels, carrying 23 million passengers in 2014 with ridership expected to grow 37% in the next 20 years. In the early part of the 20th century, a system of privately-owned ferries operated in the Puget Sound. Shortly after WWII, rising labor costs rendered the privately owned ferry services unsustainable. In 1951, Washington State purchased the remaining privately own ferries. The state originally intended for the boats to be a temporary stopgap measure until cross-Sound bridges were built, but the bridges were never approved and the ferries are still designated as part of the state highway system. WSF’s consumer base can be broken down into three main categories: Regular Commuters, Regular-Non Commuters, and Tourist/ Recreation Riders. Regular Commuters and Regular Non-Commuters combined account for 65% of ridership. Seventy percent of riders drive, 30% walk, and less than 2% bike. Riders tend to be between the ages of 35 to 65 and are aging overall (average age has increased from 42 in 1993 to 49 in 2013). Riders are in middle to high income brackets: approximately half of ferry riders systemwide have a household annual income of more than $100,000, while less than a quarter make under $50,000. Roughly 80% are white. For locals and tourists alike, Washington State Ferries is Puget Sound’s leading provider of reliable and efficient water transportation. Whether you’re walking, biking, or driving, WSF offers the largest capacity boats with the most connections to scenic destinations. The lettermark is angled to show forward movement. Rounded edges add friendliness and smoothness, while the consistent line weights connote reliability. The “S” is formed with negative space, uniting the lettermark and added a sense of connection. 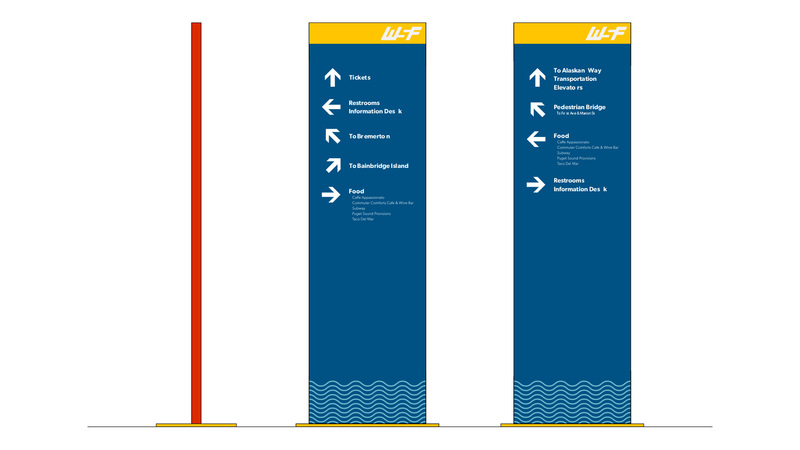 These graphic elements can be utilized to help extend the WSF brand. 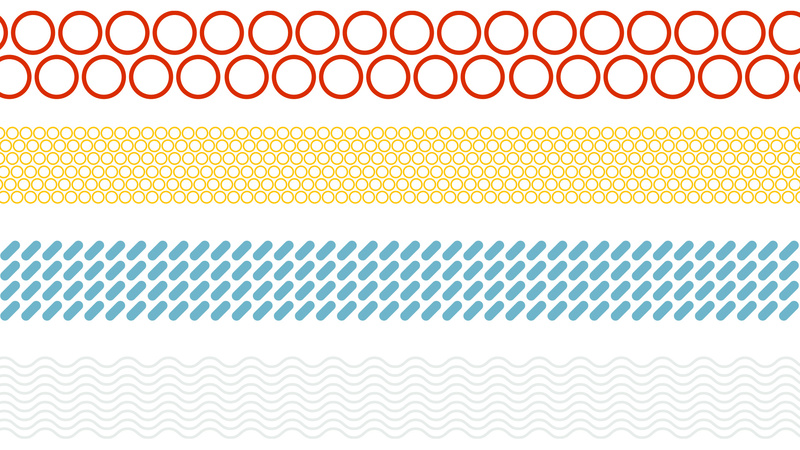 Different patterns can be combined in a variety of ways to add visual interest and make us easily recognizable. Tickets are one of the core customer touch points for WSF. A variety of implementations and media were taken into consideration. A standardized icon library for the many terminals WSF services across the Puget Sound. The key purpose for the WSF website is to drive users to plan a trips and purchase tickets easily while highlighting the many wonderful places to visit in the PNW. Clarity and visibility for of crewmembers is important for safety and customer service. 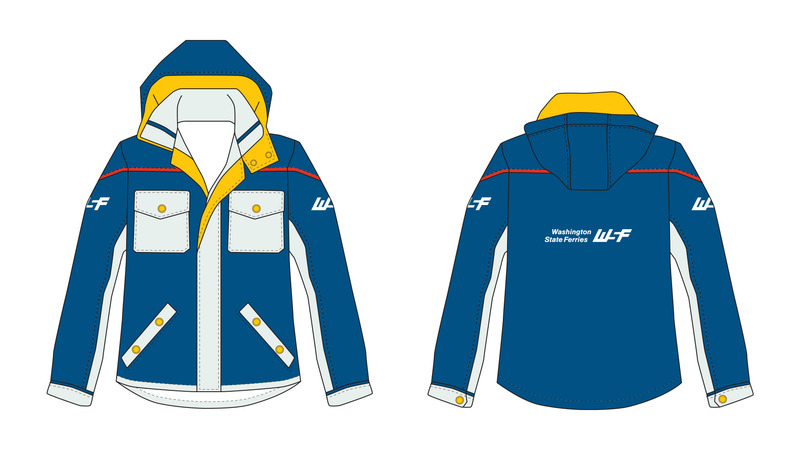 These uniforms can be mixed and matched based for crew comfort. 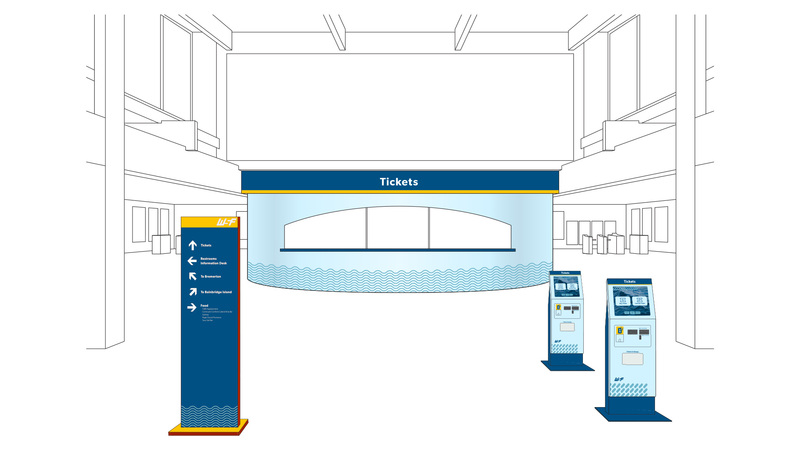 Kiosks, wayfinding, and environmental graphics expand the brand into terminals and ferry spaces. For signage on the ferry’s themselves, safety and clarity are prioritized.